Non-Toxic Munchkin: Are The Water Fountains in Your Local School and Parks Tested for Lead? Are The Water Fountains in Your Local School and Parks Tested for Lead? This summer, Chicago is shutting off half of its outdoor drinking fountains amid lead concerns. After the Flynt water crisis, the city of Chicago decided to test their park’s water fountains- their findings? About a quarter of their public water fountains had lead levels exceeding 15 ppm. What is considered a high level of lead in water? Believe it or not, there is no federal standard for the amount of lead found in tap water at individual homes. 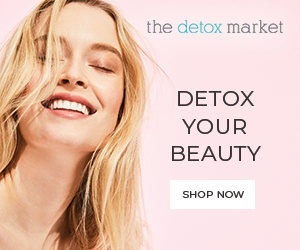 The federal government does have a 15 ppm 'action level' it loosely uses, but studies have reported harmful effects when concentrations exceed the FDA’s standard for bottled water of no more than 5 parts per billion. Adding to the confusion, according to the EPA and the U.S. Centers for Disease Control and Prevention, "Lead is unsafe to consume at any level" Ingesting tiny concentrations can permanently damage the developing brains of children. What about my local park's water fountains? 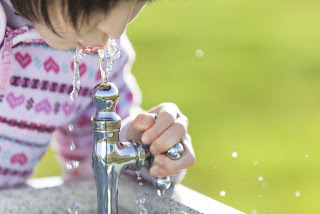 As a parent of small children who frequent city parks and attend summer camps at schools, and who’s kiddos absolutely love playing at our local park's water spouts I wondered if the water fountains near me have been tested for lead. The issue, it turns out, goes beyond our local parks. Nationwide, cities are required to test only a small number of samples from homes to check the municipal water supply for lead. The EPA does not give any guidance to water utility companies on what chemicals they should be testing for, nor what levels to test for. Additionally when utility companies fail to do proper testing - or fail to act on results that show- for example- lead levels in the drinking water- these companies are not penalized by the federal government. This is why, in 2015 it is estimated that as many as 21 million Americans were exposed to unsafe drinking water. More troubling? No federal requirements exist for routine tests in schools or other public settings, such as parks. California, at a state level, this year, mandated public schools to test their water fountains before July 1, 2019. Although this is good news, of note, the school board is using the 15ppm action level and not the FDA’s standard for bottled water of no more than 5 parts per billion. Around the country, after the Flynt water crisis many local cities and local school boards have started testing (NYC, Illinois, New Jersey, ) however one report claims that up to 44 states still do not require their schools to test. To find out if your local school has been tested the results should be available at your local school districts website. If the water in your local school is not being tested take action and go to your school board meeting to ask! Not being tested in California nor in most states? parks water fountains. 1. If you are heading out to the park or camp make sure your kiddos take their own water bottle filled with water. My oldest takes two water bottles with him to soccer camp during summer to make sure he does not run out. 4. If you need to rely on a water fountain seek out more modern hydration stations that offer filtered water. If these are not available, at the very least allow the water to run for 30 seconds before drinking from it.